If you didn't catch part one of this shirt styled two ways click here. 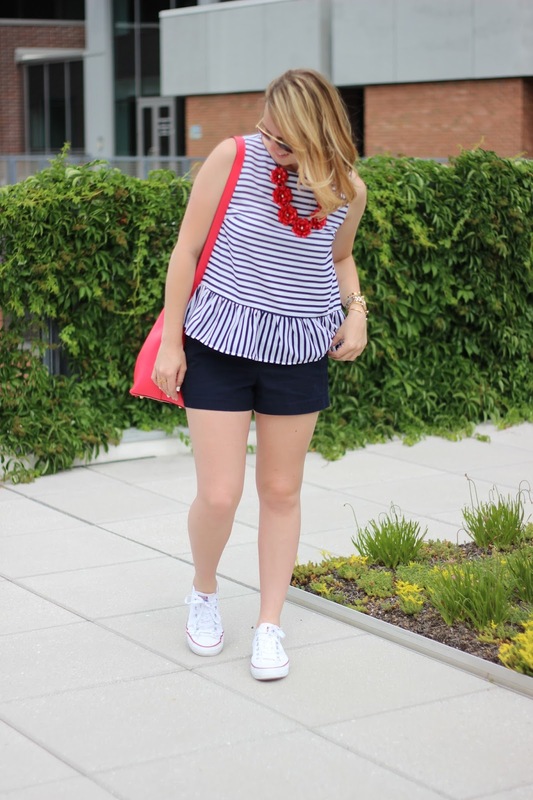 Today's outfit is more casual than yesterdays, but would be perfect for the 4th! 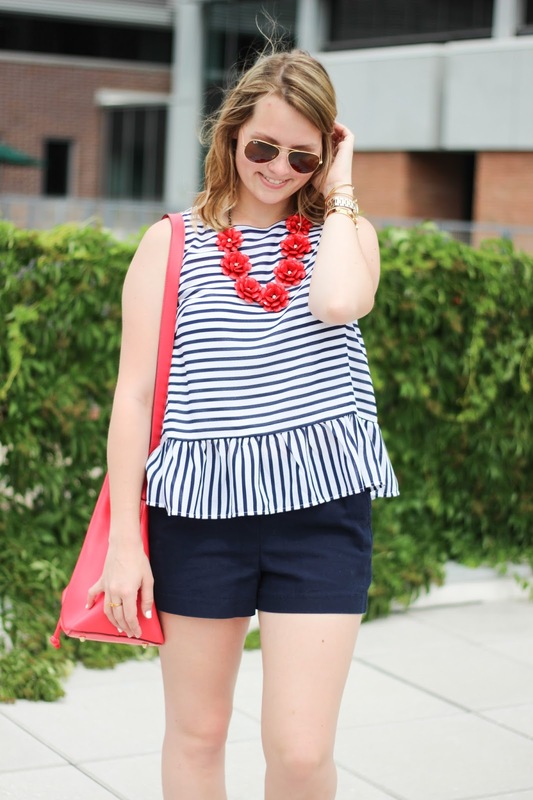 The top is from Sparrow Boutique and is already a staple in my summer wardrobe. Also these Boardwalk shorts are all that I wear in the summer, shorts wise. I have them in multiple colors and patterns, because they are so comfy with the elastic waist line and the fact that they are pull-on shorts. 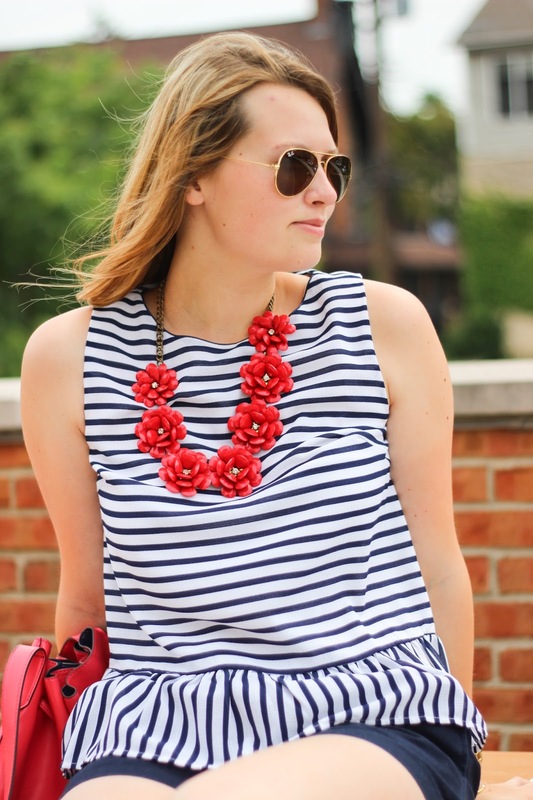 They still make you look put together and only $19 and come in different lengths too! They do run true to size, but you can size down with the elastic waist band if you want. I have my eye on the navy and white striped pair, but it is currently sold out. So I actually just checked the website and the solid pairs are only $10 well the pattern ones are $12! I just ordered 3 new pairs.